It’s that time again where you will kill, die and rinse and repeat for as long you can keep your sanity. 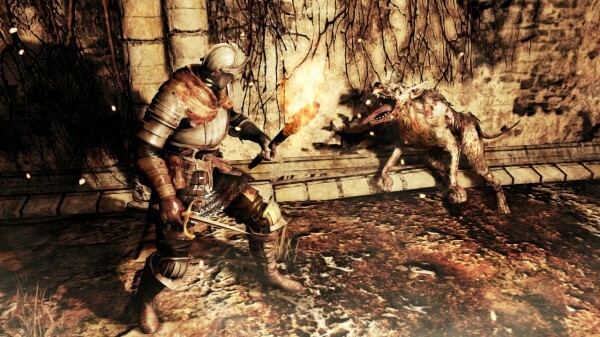 Dark Souls 2 is the newest sequel to the acclaimed Demon and Dark Souls series. For newcomers to the series, Dark Souls is a great starting point to the series due to the lack of a continued storyline. There is still a story to follow, but playing the prior games is not a requirement. Dark Souls 2 is a game that combines action and RPG with the difficulty of old-school classic games, where dying cost you more than just a life, it often causes loss of progress. 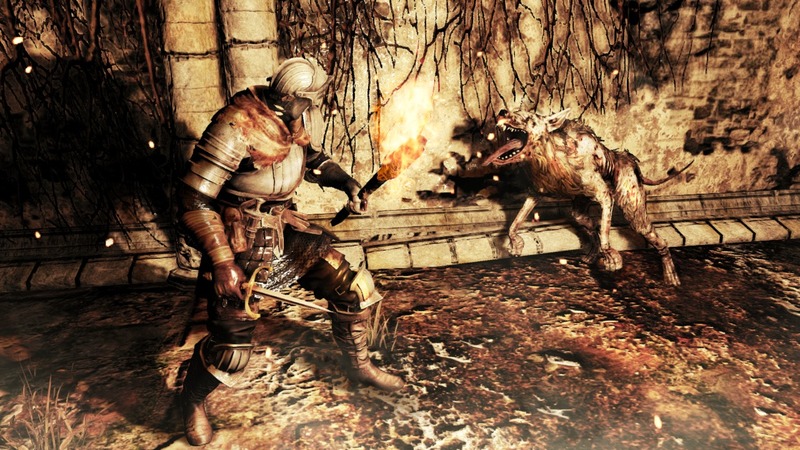 Improvements to Dark Souls 2 include a more structured online play system, improved story, and other quality of life enhancements to the Dark Souls format. The basis of the game is that you have been branded as the cursed one, and it is your fate to fall in combat over and over again while stealing souls on your quest through the Kingdom of Dragnleic. Other than that there is little explanation to why our character goes to this fictional kingdom where the most vile of evil things call home. For most people who played the prior games, they may not realize that there is an extremely deep storyline full of backstory for every character that details their origins and ambitions. The player would only get as much story as they wanted to find by speaking with NPCs repeatedly and helping them with their requests. Dark Souls 2 keeps that formula but now adds a more descriptive introduction as well as in-game cut scenes during the boss fights’ important story moments. They have also made it a bit easier to decipher what certain NPCs require by learning more about them, claiming rewards for helping them with their troubles, or opening up new shops to buy supplies or gear. My biggest complaint is that they never develop your character or explain his reasoning behind who you are and what drives you to move forward other than to kill the next enemy in your way. Dark Souls 2 mixes its locations throughout the game with a variety of macabre themes in the hopes of invoking your most dreaded phobia. Various locations include locations that will feel familiar from prior games such as aqueducts, cemeteries, forests and even a giant spider’s den full of webs and her babies. One thing players have shown early concern for was the new “T for Teen” rating (the series prior was only M for mature). After about 15-20 hours with this game, I can say, besides a slight decrease in the amount of blood shown, there is little to no difference between this game and the previous installments. The soundtrack for Dark Souls 2 is comprised of a variety of music. One moment you’ll be hearing a melancholy tune, the next it’ll switch dynamically to heart-pounding suspense (depending on current events in the game). There is, however, a reoccurring problem where the sound has to catch up to the game in some instances. Occasionally I would do a running spin attack with my greatsword and see the damage and the enemy die, followed by the music and sound effects after the enemy has already been slain. This is a minor issue and did not occur often enough to make it more than a minor issue that will most likely be patched in the near future. The bread and butter of Dark Souls have remained intact, with improvements to the overall control scheme to make it feel smoother and more responsive. This is especially the case with any of the many platforming portions of the game, when you’re jumping to and from platforms where slight miscalculations usually result in death. Dark Souls 2 will test your patience and precision timing, since patience is one of the biggest things you must have to play this game. The going-all-in strategy will often leave you defenseless and vulnerable to counterattacks, backstabs and most often death. One of the biggest improvements is the bonfire system. Bonfires are the checkpoint system in Dark Souls. These will heal you, refill your main healing items, repair your equipment, access to your storage, and allow you to fast travel between the other bonfires. The online play has also improved vastly. It is now much easier to join with friends or other players online for coop, or invade and attack other players. The difficulty has increased; there are a lot more instant death scenarios for you to encounter, so awareness is the second-most important skill. Sometimes not paying closer attention to the ridge above you will leave you dead from a trap or an ambush from a group of enemies. The bosses are the best part of Dark Souls, as they will test your patience, perception, timing and affinity to your character and weapon choice. One of my favorite things about Dark Souls is the fact that every player has their own unique play style. While I prefer to use spears/halberds and shields, some will opt for magic and others for duel wielding, and they all work. It just depends on your preference. There is a New Game Plus option that will allow you to continue your journey through the world with even greater challenges, and you can continue to test your skill as many times as you’d like with a difficulty modifier that will offer new items and enemies that increases with each successful completion of the game. Dark Souls 2 has the best of both worlds from Demon and Dark Souls. They took all the improvements from Dark Souls and enhanced them, while still keeping the game balanced with its increased difficulty. They improved the multiplayer component which was the biggest complaint in prior games. Replayability is still high, and they added a full optional tutorial to help newcomers get used to all the intricacies of Dark Souls 2. Minor sound bugs pop up from time to time, but the rest of the music and sound effects feel like the perfect choice for this game. There are all new enemies and weapon types that will make even the most familiar areas fill completely brand new. Dark Souls 2 is a great game for everyone from new comer to the Souls veteran. If you are looking for a game to test your skills as a gamer than look no further.